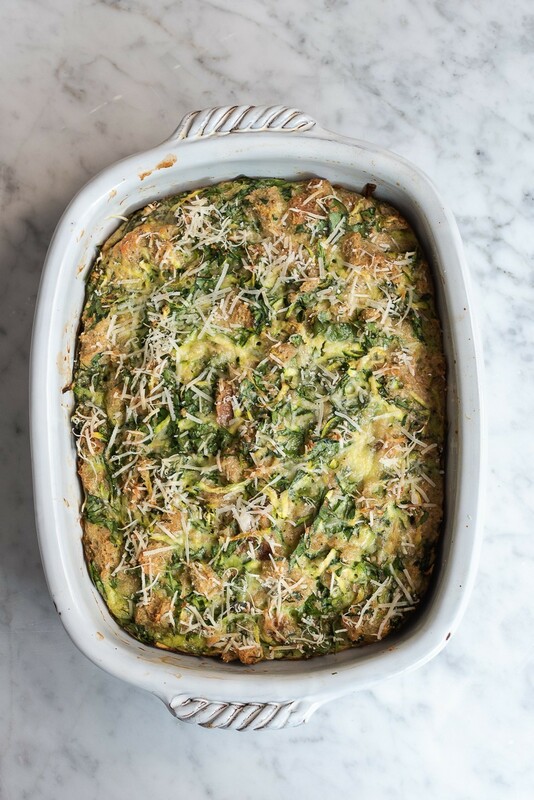 This Courgette and ciabatta frittata is the first recipe I’m cooking from Ottolenghi’s latest cookbook, Simple. If you’re the type of cook that prefers uncomplicated rather than an challenging, this book should be on your kitchen counter. The cover echo’s the content. No frills, just a bright yellow lemon, That’s it. You can’t miss it! In essence, simple also means easy, effortless and straightforward. The book is all of that. Despite a more simplistic approach than what you’d expect from the maestro of vegetables, the recipes deliver on all scores – vibrant colour and solid flavours. I love that the food is approachable and not in the least intimidating. It’s comfortable food that puts you at ease and makes you want to cook. No foams, broths, reductions or sous vides in site. Just good, honest food for everyday eating and for those occasions when you need to pull a rabbit out of a hat. 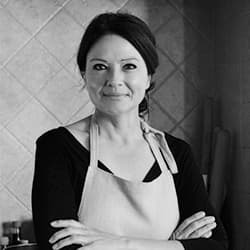 Most of the ingredients are kitchen staples, like tinned tomatoes, olive oil, herbs and spices, and lemons, of course. As always, expect plenty vegetables, pulses and grains, yoghurt dressings and pomegranates. The methods are very doable, some even easy. I chose this frittata because I went a little overboard at the market and bought way too many courgettes. Paging through the book, I spotted the courgette recipe (zucchini, if you like) and thought it was a good place to start. I also had some baby spinach waiting its turn, so I threw that in too. Although the recipe calls for ciabatta, I’d baked a couple of rye breads over the weekend, so decided that the no waste rule was a righteous substitute. The flavours felt very Italian so I seasoned mine with oregano, rosemary and basil. The texture of my rye frittata is, I’m thinking, slightly denser than what it would’ve been had I used ciabatta bread, but the taste is spot on. 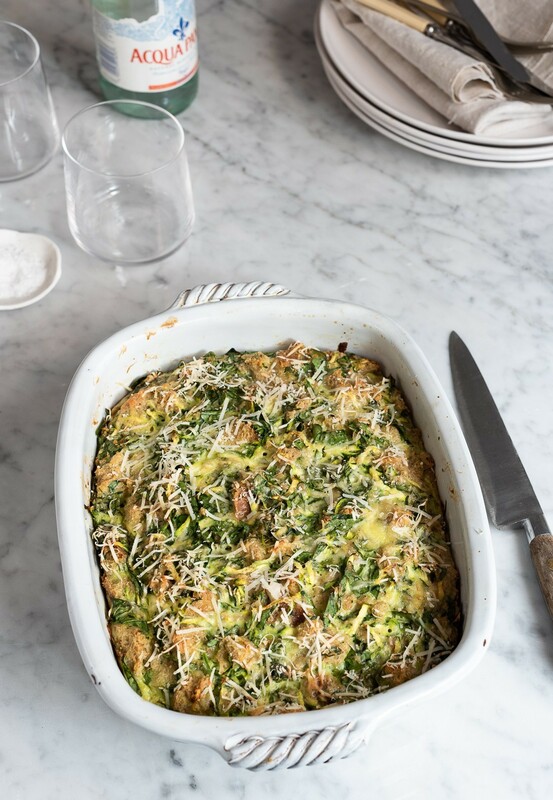 I’d waver to say, it sways somewhere between a savoury bread pudding and a sturdy Italian frittata. Preheat the oven to 180º C. Grease a 20 x 25 cm baking dish. Place the bread, milk and cream in a large bowl. Give it a good mix and set aside for 30 minutes. Whisk together the garlic, eggs, oregano, rosemary and 50g of the Parmesan. Add 3/4 teaspoon salt and freshly cracked black pepper. Add the egg mixture, courgettes, spinach and basil to the soaked bread and mix to combined. Transfer the bread mixture to the baking dish and spread out evenly. Bake for 20 minutes. 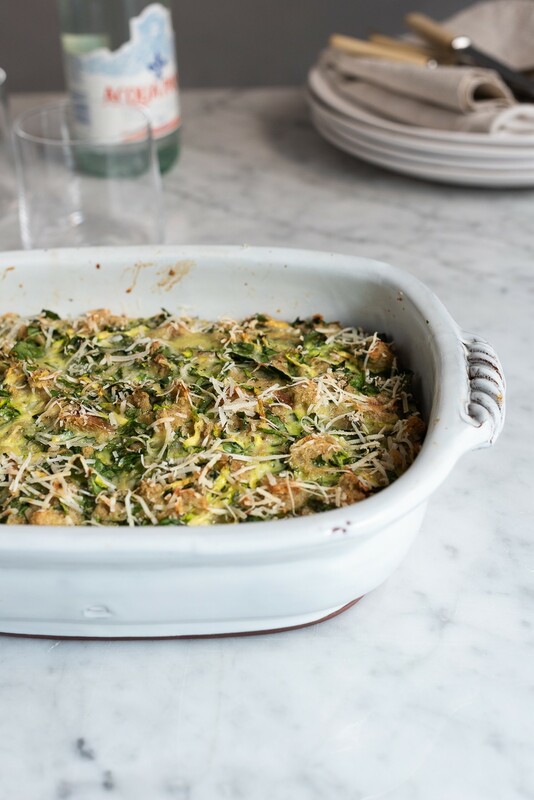 Sprinkle the remaining Parmesan over the top and return to the oven for a further 25 minutes. If you’re using rye, add another 5 minutes to the cooking time. Set aside for at least 5 minutes before serving. 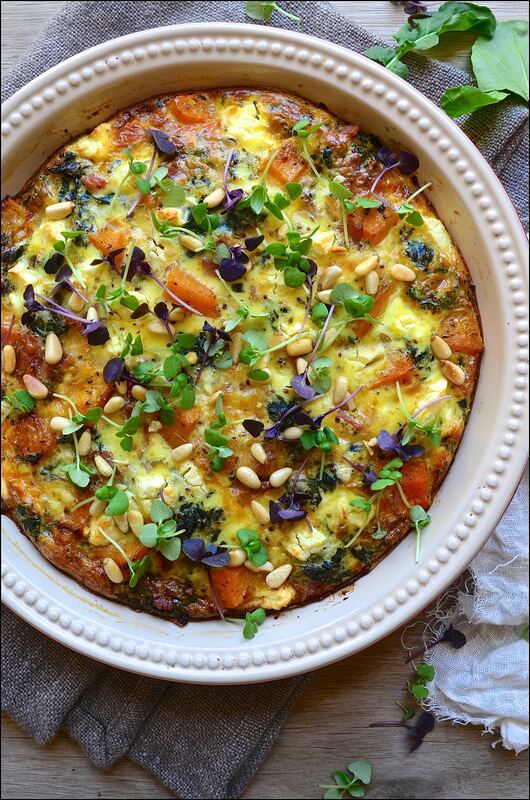 Here are two other frittata recipes that readers have loved!